Taika Waititi’s New Zealand outback adventure-comedy landed him the gig directing the next Thor movie. And it’s easy to see why. 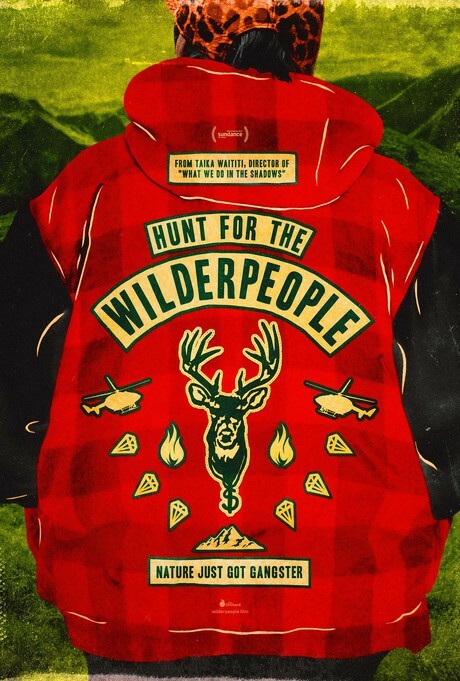 This tale of an errant foster child and the backwoods curmudgeon he goes on the run into the bush with is genuinely delightful. Newcomer Denisson impresses greatly as the overweight troubled boy Ricky Baker who finds himself paired with a never better or more irascible Neill as his unwilling “uncle” Hec. Equally impressive is Te Wiata as the warm and welcoming mother figure who, sadly, doesn’t stick around for long. Following her demise, the old man and the young boy’s retreat into the wilderness becomes a major news story, triggering a national manhunt. Waititi’s film is very strong on charm and solid performances. It is also often very funny, although to be fair, it’s humour at times is a little uneven and inadvertently provides the movie with its few unsuccessful moments – with some of the secondary characters veering into caricature at times. But overall this is a film built on winning central characters, strong relationships, and huge heaps of - we've said it already - charm. Bring on Thor: Fraggle Rock.